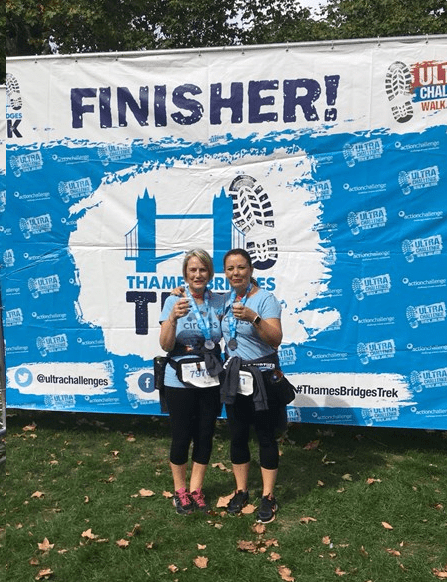 Lynn Walton, along with her friend Claire, successfully completed the Thames Bridge Challenge, finishing in just under 4½ hours. We would like to congratulate them and thank them both for their tremendous effort. The ladies raised over £600 for Circles Network – what a great achievement.